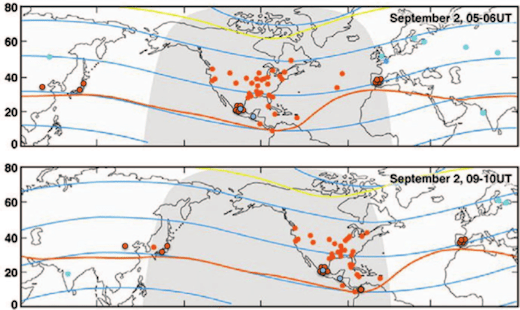 Sept. 2, 2018: Picture this: A billion-ton coronal mass ejection (CME) slams into Earth’s magnetic field. Campers in the Rocky Mountains wake up in the middle of the night, thinking that the glow they see is sunrise. No, it’s the Northern Lights. People in Cuba read their morning paper by the red illumination of aurora borealis. Earth is peppered by particles so energetic, they alter the chemistry of polar ice. In Sept. 1859, this large sunspot unleashed a record-setting solar flare. Sketch by R. C. Carrington. Could it happen again? In fact, a similar event did happen only 6 years ago. On July 23, 2012, a powerful explosion on the sun hurled a Carrington-class CME away from the sun. Fortunately, it missed. “If it had hit, we would still be picking up the pieces,” says Prof. Daniel Baker of the University of Colorado, who summarized the event at NOAA’s Space Weather Workshop in 2014. 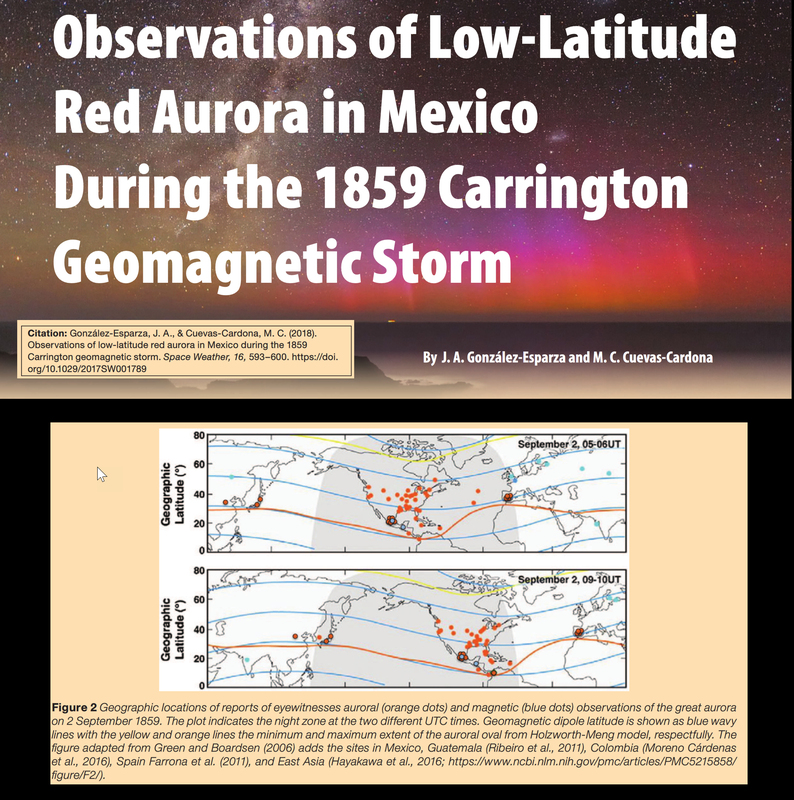 In a paper published just a few months ago, researchers from the University of Birmingham used Extreme Value Theory to estimate the average time between “Carrington-like flares.” Their best answer: ~100 years, a value which suggests we may be overdue for a really big storm.